IX Reach works alongside the world’s leading Internet Exchanges, data centres and cloud providers to be able to offer unbeatable promotions. Benefit from remote peering in Europe from Asia! 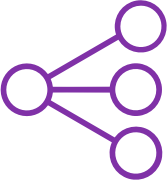 IX Reach is the global leader and trailblazer in virtual interconnection and remote peering, and partners with more EU and North American Internet Exchanges than any other network in the industry. Ts & Cs apply – get in touch for more information. Our newly upgraded portal – One Portal – makes it even easier for you to work with IX Reach (you can click here to read about its launch!). Using One Portal, you’ll be able to manage your automated connections to Amazon AWS, Azure, and Google Cloud regions, monitor your complete service management dashboard, review and receive support, service analytics, invoice visibility, and incident management! To help kick off your experience on the One Portal, if you register for your own log in to the portal, we’re offering 100Mb of capacity into either Amazon AWS, Google Cloud Platform or Microsoft Azure from any IX Reach on-net PoP for free. Want it? 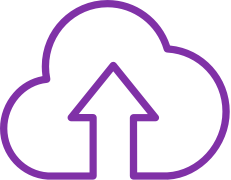 Get in touch with your account manager or drop us an email by clicking here and a team member will be in touch shortly to help you sort your next steps so your cloud strategy isn’t all up in the air!